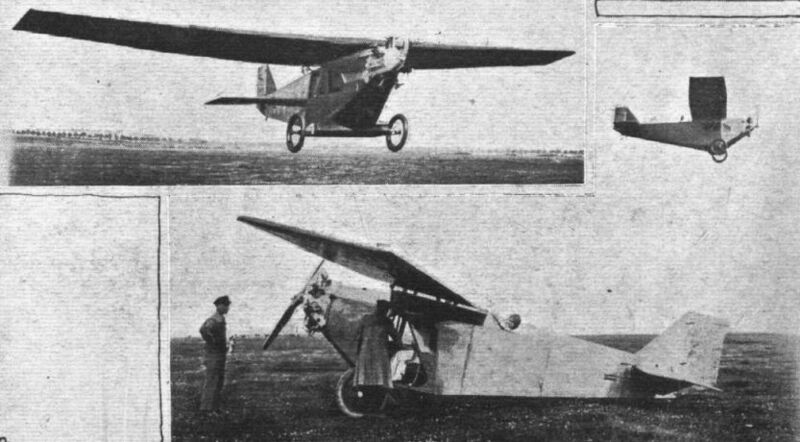 THE CASPAR MONOPLANE THREE-SEATER: The machine taking off, and below side view on the ground inset, in flight. THE CASPAR COMMERCIAL MONOPLANE: 1 Shows the arrangement of the rubber shock absorbers on the end of the wing-section fairing over the axle. An aileron crank lever is shown in 2, while 3 is a perspective view of the machine as she was exhibited - on a steep left-hand banked turn.